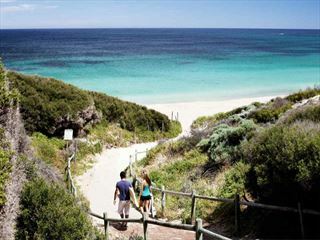 Why Visit Margaret River & The South West? 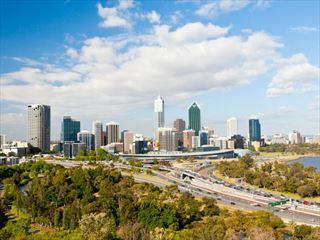 Experience the stunning natural beauty of South West Australia with this impressive tour taking in Perth, Fremantle, Albany and Rottnest Island. International return flights are included in the price. 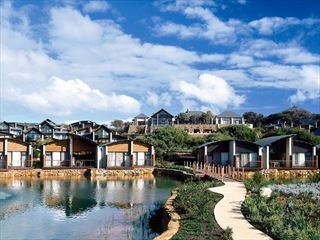 Set on the beach at Bunker Bay, in the charming Margaret River region, Pullman Resort Bunker Bay is a stylish property with stunning views and comfortable villas. A great base for exploring the nearby attractions. 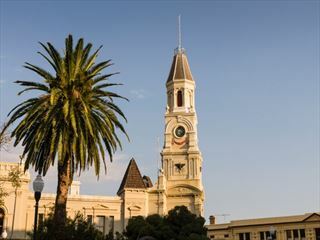 Experience the highlights of Australia's south west region on this brilliant five night self-drive tour, including exploring Margaret River's wineries, the world's tallest trees in Pemberton, the famous sculpture walk in Northcliffe, and embarking on a Dolphin Watch Eco Cruise. Ideal as a base for exploring the Margaret River region, Seashells Yallingup Resort is a charming property that would suit couples seeking somewhere relaxed and well positioned for visiting the vineyards and attractions of this area. 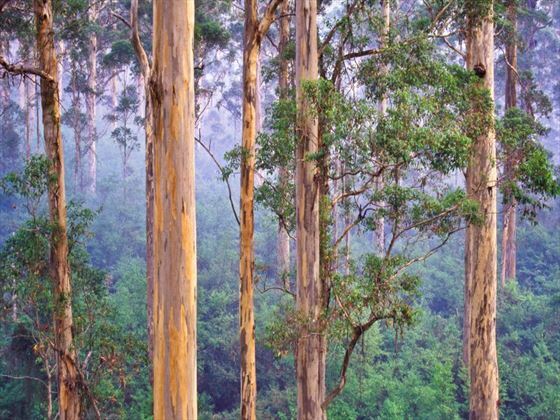 A picturesque collection of lush hillsides, ocean backdrops and towering forests; the South West region is captivating and abundant in naturally stunning scenery. 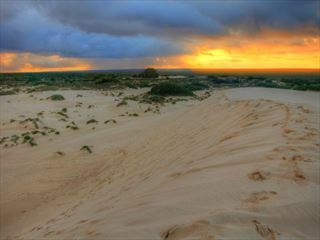 The South West portion of Western Australia is teeming with nature; walking trails take you through forestry, past beaches and over undulating hillsides. 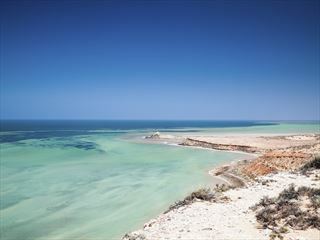 Nearly 80 per cent of the plant life here can’t be found anywhere else on the planet, making this truly one of the prettiest corners of the continent and a unique place to visit. 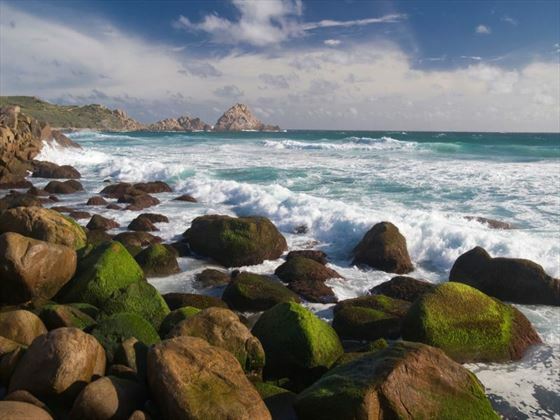 Whale watching is a popular activity along the coast and there are some beautiful unspoiled beaches where you can take a dip in the waters and explore the marine life on a snorkelling excursion. 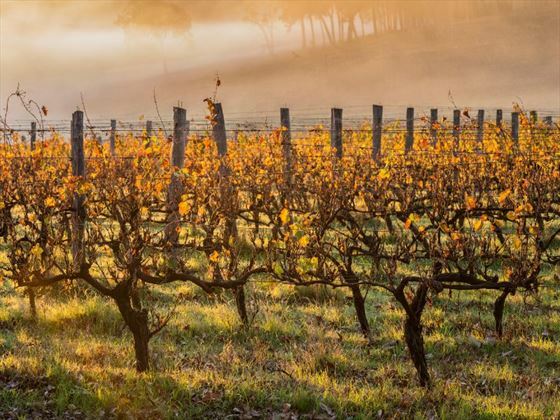 Inland, those seeking world-class wine and gourmet cuisine will love a trip to the wineries of Pemberton and Mount Barker.